31 Commercial Real Estate & Properties in Surfers Paradise are listed in 6 categories. We have 12 Hotels and LeisureSale , 9 Development LandsSale , 6 Retail ShopsSale , 2 OfficesSale , 1 ShowroomsSale and 1 Industrial Warehouses Sale . Event Hire Business For Sale - Excellent Investment Opportunity $2,250,000 + Stock at Val..
A truly unique opportunity exists to acquire what can only be described as a perfect lifestyle or value add business specialised in Event Hire. This flawless, fully systemised business is an excellent investment opportunity for someone that can see great value to purchase as a value add for their existing business, a walk in profitable new business with solid cashflow, or grow to what will deliver excellent future gains! Ranking on a multitude of digital platforms as the highest Event & Wedding service provider on the Gold Coast, Byron Bay & Brisbane area for 100's key words on web searches & boasting a large social media following, yep WOW! This is just the beginning. This business is system driven, with a fully trained & motivated team who deliver unparalleled solutions for customers using fully managed (not reliant on any one person) developed software, which is a key asset to this business. This is a clever, fully integrated CRM, task management & calendar system used daily by every employee for 4+ years. A streamlined and fully pipelined business the sky & your business imagination will be the only limiting factor! With a broad focus on weddings & corporate events, the hiring system has full service functionality, incl quoting, invoicing, client management, job management & a full inventory system. Employees use an online sign in / out system that integrates with the payroll system making it a very smooth process. The warehouse has advanced, streamlined & efficient tracking solutions with aisle & bay numbers. Inventory locations are listed on the pick list for easy reference, and is up to date and maintained with all transactions. A new truck fleet has custom designed for the event hire industry, with GPS tracking solutions to maintain up to date data on location and time. Adding to this, is a commercial grade kitchen & construction area! THE OPPORTUNITY: This is your chance to purchase a highly reputable and leading hire company, with an ever growing range and innovation. Ongoing and positive relationship with nationwide clients managed by the sales team, including wedding & event venues, planners, stylists, other hire companies, large PR firms to name a few. With all the systemised hard work and setup done, this investment is a rare find for the acute, modern business opportunist that can easily see the amazing potential that exists to take this business's current profit earning to what could grow to be a multi million $ EBIDTA level! The subject site is in the centre of Surfers Paradise and within the Surfers Paradise Entertainment Precinct. The property neighbours the Clock House Hotel/Tavern and is adjacent to the Mantra on View Hotel. Centrally located in Surfers Paradise, also neighbouring Chevron Renaissance, the subject site has great potential for numerous uses. Such as a new development for a boutique hotel with roof top bar, multi level offices and retail, student accommodation and entertainment uses. Features include: bull; Iconic Surfers Paradise Development Opportunity bull; Land Area 405m2 bull; Ideal for Hotel / Backpackers / Office Retail use bull; Building will be demolished / vacant land bull; Motivated vendor. All offers submitted prior to auction. Approx This property is being sold by auction or without a price and therefore a price guide can not be provided. The website may have filtered the property into a price bracket for website functionality purposes. For all enquiries contact the exclusive marketing agent Brad Merkur on 0414 389 300 or Simon Robertson on 0449 951 772 Disclaimer: Ray White has not independently checked any of the information we merely pass on. We make no comment on and give no warranty as to the accuracy of the information contained in this document which does not constitute all or any part of any offer or contract by the recipient. Prospective purchasers / lessees must rely on their own enquiries and should satisfy themselves as to the truth or accuracy of all information given by their own inspections, searches, inquiries, advices or as is otherwise necessary. No duty of care is assumed by Orchid Avenue Realty trading as Ray White Surfers Paradise Commercial divisions toward the recipient with regard to the use of this information and all information given is given without responsibility. Substantial rare land offering of 3239m² in Surfers Paradise Ultimate flexibility to amend and / or Stage Development (STCA) 486 units inclusive of 3 Terraces 184 Serviced Apartments 360 view corridor over 54 levels Ability to increase number of serviced apartments Over $20m value in management rights A truly unique opportunity to purchase an approved beachside development site on the corner of Garfield Terrace and Frederick Street, Surfers Paradise. Sites of this size and proximity in Surfers Paradise are limited and opportunities of this nature are rapidly becoming non existent. The development approval consists of over 870 bedrooms incorporating 5 penthouses plus serviced apartments and 3 beachside terraces. The current development approval can be amended to suit either lower density, hotel and or dual towers being in "no building height limit" zone. Numerous world class beachside high density developments are currently underway within Surfers Paradise such as Jewel, Spirit and Meriton apartments. Now is an ideal time to join this demanding market within the spectacular Surfers Paradise corridor. Approx Disclaimer: Ray White has not independently checked any of the information we merely pass on. We make no comment on and give no warranty as to the accuracy of the information contained in this document which does not constitute all or any part of any offer or contract by the recipient. Prospective purchasers / lessees must rely on their own enquiries and should satisfy themselves as to the truth or accuracy of all information given by their own inspections, searches, inquiries, advices or as is otherwise necessary. No duty of care is assumed by Orchid Avenue Realty trading as Ray White Surfers Paradise Commercial divisions toward the recipient with regard to the use of this information and all information given is given without responsibility. What a location, what an opportunity! Nestled within a quality resort complex Price drastically reduced to only $335,000 + GST Total area of 178m2 includes the tenancy and exclusive areas Exceptionally well equipped and ready to go Extensive kitchen fitout, walk in cool room, bar, coffee machine, tables and chairs everything ready to go Fabulous resort location surrounded by holiday apartments and permanent residents An opportunity exists to provide dining options to the resort guests and residents as well as using the location for a food delivery service to the surrounding buildings Open plan internal dining area with full service bar expansive, weather proof outdoor alfresco offering poolside dinning Favourable establishment for any savvy operator local cafe / dining, remote kitchen / delivery service or hospitality training facility Vendor seeks to sell immediately all offers invited! Please contact the listing agent for more details by clicking on the link above Approximately Disclaimer: Ray White has not independently checked any of the information we merely pass on. We make no comment on and give no warranty as to the accuracy of the information contained in this document which does not constitute all or any part of any offer or contract by the recipient. Prospective purchasers / lessees must rely on their own enquiries and should satisfy themselves as to the truth or accuracy of all information given by their own inspections, searches, inquiries, advices or as is otherwise necessary. No duty of care is assumed by Orchid Avenue Realty trading as Ray White Surfers Paradise Commercial divisions toward the recipient with regard to the use of this information and all information given is given without responsibility. Ideal location close to all amenities Opposite beachfront location Land area 819m2 500 metres south of Jewel Development Ideal end user development opportunity Broadbeach development is booming with new projects. This site is one of the best opportunities fronting Old Burleigh Road and close proximity to the beach. Any development here would be ideal for the end user market, alternatively short term accommodation and rental market could see high dividends. Approx Disclaimer: Ray White has not independently checked any of the information we merely pass on. We make no comment on and give no warranty as to the accuracy of the information contained in this document which does not constitute all or any part of any offer or contract by the recipient. Prospective purchasers / lessees must rely on their own enquiries and should satisfy themselves as to the truth or accuracy of all information given by their own inspections, searches, inquiries, advices or as is otherwise necessary. No duty of care is assumed by Orchid Avenue Realty trading as Ray White Surfers Paradise Commercial divisions toward the recipient with regard to the use of this information and all information given is given without responsibility. 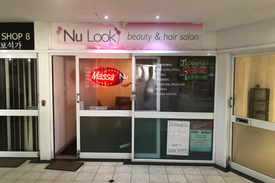 Bidding to start at $80,000.00 20m2 shop currently vacant Located 50m from Surfers Paradise Beach Run your own business or rent out Divorce settlement forces urgent sale Don't miss this opportunity This property is located in the heart of Surfers Paradise, situated right beside the Spirit Development Site which gives the property potential future development upside, high traffic flow and a great location. The sellers have given clear instruction to tell all buyers that the property absolutely has to be sold. Call today to enquire! Approx Disclaimer: Ray White has not independently checked any of the information we merely pass on. We make no comment on and give no warranty as to the accuracy of the information contained in this document which does not constitute all or any part of any offer or contract by the recipient. Prospective purchasers / lessees must rely on their own enquiries and should satisfy themselves as to the truth or accuracy of all information given by their own inspections, searches, inquiries, advices or as is otherwise necessary. No duty of care is assumed by Orchid Avenue Realty trading as Ray White Surfers Paradise Commercial divisions toward the recipient with regard to the use of this information and all information given is given without responsibility. 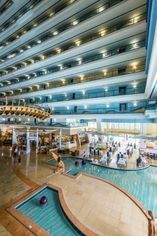 Mantra Crown Towers, Surfers Paradise is located in the heart of the Gold Coast, just 100m from the beach and offers an exciting and memorable holiday experience.All our Mantra Crown Towers apartments feature large balconies with views of the surrounding city. The location: 5 minutes from the centre of Surfers Paradise, means you are just minutes walk from some of the best shopping in the city with everything from discount stores to designer boutiques. Huge restaurant premise totaling 892m2 in floor area (with 855m2 shop + 37m2 storage); Restaurant used to a modern Aussie restaurant in lobby level facing out to the lagoon pool in popular Resort Tower; Located downstairs in the resort near the receiption desk area Alpha Seafood Restaurant is open seven days a week serving A la Carte for breakfast, lunch and dinner Big Bar and you can sell drinks Full commercial kitchen Restaurant turnover $800k per annum Mantra Crown Towers, 4 star hotel Perfect location to do buffet restaurant. Property includes exclusive 8 car spaces; Beach: 100m Airport: 25km Shopping: 500m Price: Offers over $2 million+GST Inspection: By appointment Location:4/5 Palm Ave Surfers Paradise QLD Contact: Peter Huang/ Conan Li: 07 3373 9887/0404 617 767/ conan.li@yong.com.au Disclaimer: We have in preparing this information used our best endeavours to ensure that the information contained herein is true and accurate, but accept no responsibility and disclaim all liability in respect of any errors, omissions, inaccuracies or misstatements that may occur. Prospective purchasers should make their own enquiries to verify the information contained herein. Doctor\'s Orders To Sell - All Offers Submitted!! $40,000 W.I.W.O. - NEGOTI.. In the Heart of the Gold Coast located in Superb High Intensity Pedestrian Precinct an existing themed Licensed Restaurant/Café/Takeaway Business For Sale established 8 years with consistent T/O in excess of $400,000 now available due to Medical Orders. Successful, profitable and well positioned to grow under new management with enthusiasm Will suit a variety of Cuisines and Modern Café Style approach Efficient fully equipped Kitchen and Bar Seats 15 internal and 40 in all weather Al Fresco Buy at less than set up cost Full Price $40,000 Negotiable WIWO Please Note: The photos and graphics used herein may not be of the actual business due to Confidentiality and Privacy Requirements and may be generic or stock photos and graphics for indicative and illustrative purposes..
Site area 1095m2 High Density Residential zone for Surfers Paradise Height (HX) Unlimited Height Direct access to the Gold Coast Light Rail service Waterfront site located on the Nerang River One of the last riverfront sites remaining Opportunities are becoming rare for waterfront development sites in Surfers Paradise, this particular site has a 25 metre frontage to the Main River and Gold Coast Highway. Spectacular river and ocean views are on offer with a multi level residential development. This is priced in line with other recent sales of this nature, for discussions regarding this property contact Brad Merkur by clicking the link below. Approx Disclaimer: Ray White has not independently checked any of the information we merely pass on. We make no comment on and give no warranty as to the accuracy of the information contained in this document which does not constitute all or any part of any offer or contract by the recipient. Prospective purchasers / lessees must rely on their own enquiries and should satisfy themselves as to the truth or accuracy of all information given by their own inspections, searches, inquiries, advices or as is otherwise necessary. No duty of care is assumed by Orchid Avenue Realty trading as Ray White Surfers Paradise Commercial divisions toward the recipient with regard to the use of this information and all information given is given without responsibility. Whole floor which is currently split into two tenancies. Tenancy 1 Area 248m2 This premises has direct street frontage and is currently partitioned into: Reception 5 Offices Large open plan area Kitchenette/Staff room 2 Storage Areas Tenancy 2 Area 75m2 This is an open plan premises with timber flooring that adjoins tenancy 1 and can be added to it or it can be leased separately.